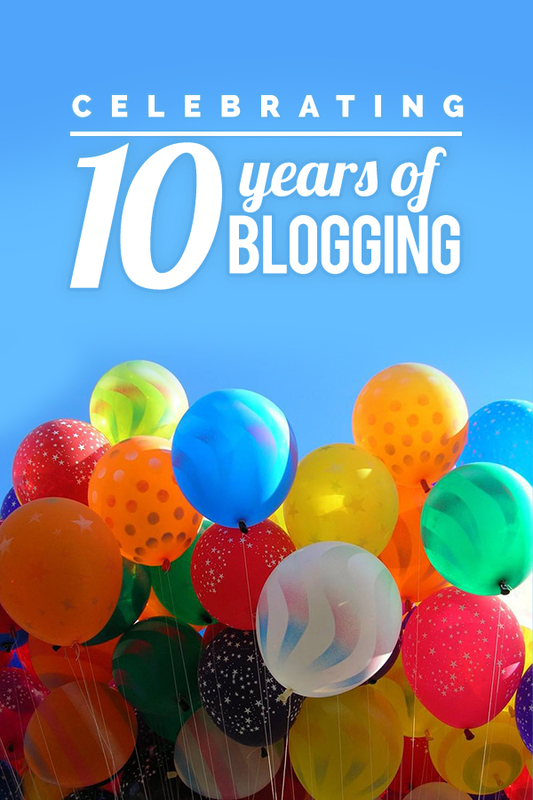 2018 is my ten years of blogging! Cash crop like palm oil with its low commodity price, widespread fungus disease, shortage of worker, high price of fertilizer and pesticide is no longer a viable and reliable income source for smallholders. As reported in the Star (https://www.thestar.com.my/…/rm45bil-for-food-import-bill-…/) Malaysia imported RM 54 billion worth of food and animal feed with a deficit of RM 18 billion in year 2016. 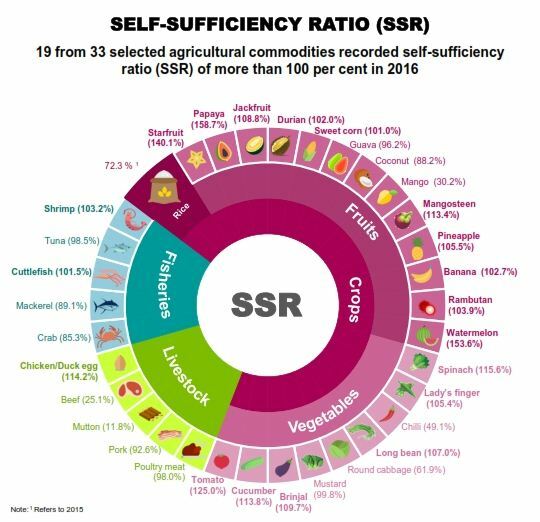 Food self-sufficiency issue has been discussed for decades since 90s by then BN government but the trend is worsening with more food imports over the years. With the new PH government with its new hope aspiration, I hope new government can do something holistically and differently to overcome food self-sufficiency crisis. I used crisis wording is to remind PH government food shortage in any economic turmoil or wartime can destroy a nation. Venezuela is a good example. I am sharing some success stories in other countries on how to achieve food-sufficiency. – Taiwan fresh milk is fully supplied by its small dairy farms operated entirely by individual or family. The government does not allocate multi million dollars grant to companies or political cronies to run a giant dairy or cattle farm. Taiwanese government only provides technical assistance like free on-site veterinary service to farmers in regular basis. The model adopted by former BN government is proven a total failure. – China is subsidizing agriculture machinery and equipment purchase, the assistance is not limited to tax free policy. Technical assistance like soil testing, fertilizer usage analysis and online technical help by experts is provided free to farmers in China. – Israel is planting vegetables and fruit trees in the water shortage desert with new technology farming method. The country exported USD 2.2 billion food mainly to Europe in 2017. – Australia is using tissue culture to boost up avocado farming expansion to cope with the market sharp demand especially from China. My involvement in farming is still short after I return to new village due to some personal matters. I have observed small farmers are lacking basis knowledge and know-how on good practices in agriculture. Palm oil and fruit farmers have no clue on soil acidity, micro nutrient deficiency, barren land, pesticide and herbicide overused, etc. against the health and yield of the crop. I have a few suggestions for new government and agriculture minister. – Enlarge the grant budget for food production assistance scheme. For instance, I tried to apply a grant from Agriculture Ministry to convert 2.5 hectares palm oil to fruit orchard yesterday, the pathetic reply is the budget for agriculture assistance in 2018 was already used up. – Education and training for good agriculture practice shall be made compulsory for those applying government grant. Besides, Agriculture Department conducting more free training in multi languages for our farmers, and foreign instructors can be used if necessary. – Revert University Putra Malaysia to its original name and goal of agriculture research and study. We need at least a specialized research university to enhance agricultural science and technology level. Tissue culture micropropagation can be researched and applied for durian farming. – Open licensing policy for any Malaysian who is interested to venture into deep sea fishing or any agriculture sector. – Enhance food production processing capability and facility to reduce raw food consumption. A good example is Taiwan strawberry farmers have created more than 1000 types of processed food from strawberry ingredient. – Establish a big data center to ensure food production supply and demand in balance. 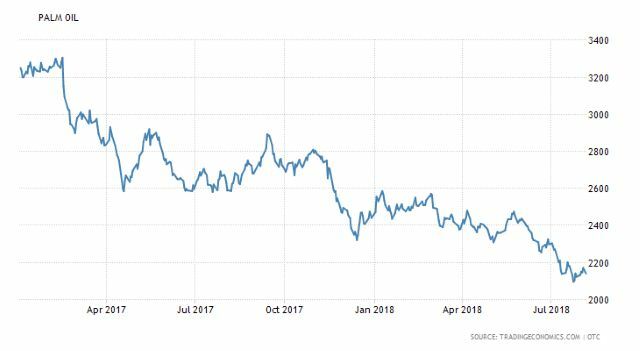 I hope durian oversupply in 90s does no repeat for Musang King durian supply chain, my dad was selling a kilo durian for 20 sen is a painful memory for me. – Tax the idle land higher rate to encourage landlords to utilize or rent the land for food production. It is fruitless for me to put up another hundred suggestions on the papers, only the good planning and implementation of new HOPE agriculture policy from production, distribution to marketing is the key to overcome food import chronic issue. Lastly, Malaysia with its arable land and tropical climate has no reason cannot be a net food exporter except we Malaysians ruin the ambition.